In summer, wake up early to get the best pick of Downtown College Park Farmers’ Market’s colorful produce stalls. Stop to chat with the locals or fill up on gourmet food samples, before strolling across campus to the University of Maryland Art Gallery. Discover the artists of the future at one of the gallery’s contemporary exhibitions, then spend the rest of the afternoon exploring the scenic Anacostia Tributary Trail System. End your outdoor adventure at breathtaking Lake Artemesia, then head home to your student housing at The Varsity to get dressed for dinner at popular sushi restaurant Hanami. 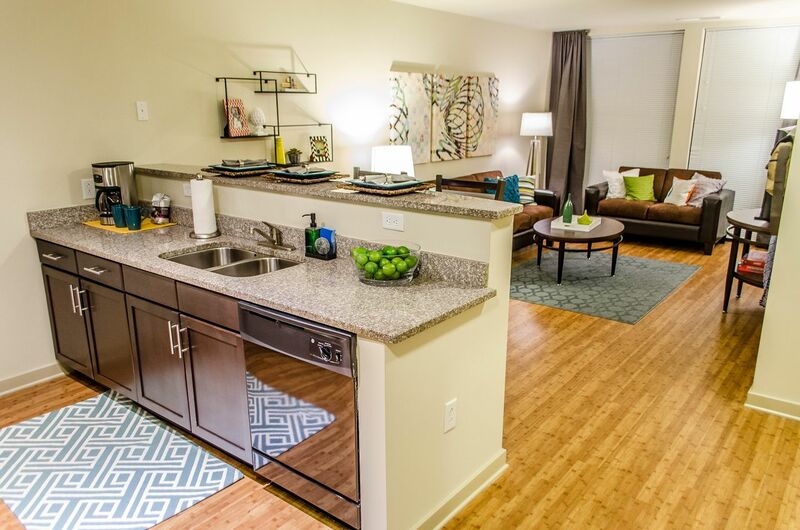 Choose from a range of floorplans at The Varsity and walk to the University of Maryland in just 15 minutes. Spend as long as possible in your full-sized bed, then grab your books from your desk and start out along the walkway to campus. If you’ve got time before class, spend an hour or two at quirky café The Board & Brew, playing board games and feasting on breakfast sandwiches. On weekends, explore the rest of the city from the bus stop up the road or keep a car in the property’s parking. 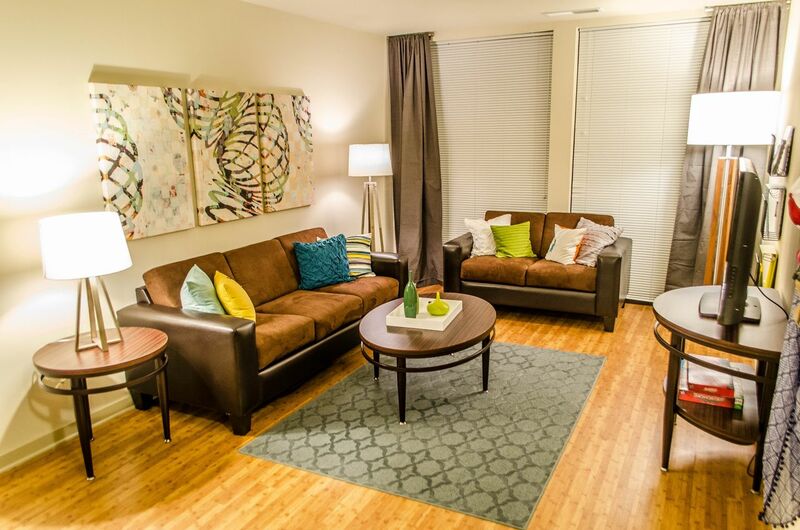 When you get home, swipe yourself in through the secure access and head up to your furnished apartment. Change into something more comfortable in your private bedroom, then catch up with your friends at one of the interior courtyard’s sunny tables. If you’ve got work to do, research a paper using the free internet, revise for a test in the quiet study lounges, or make the most of the Academic Success Center’s free printing. When you’re done, clear your head with a fitness center workout. With your own bathroom and an apartment washer dryer, you don’t have to queue for a shower or trek across town with your laundry. 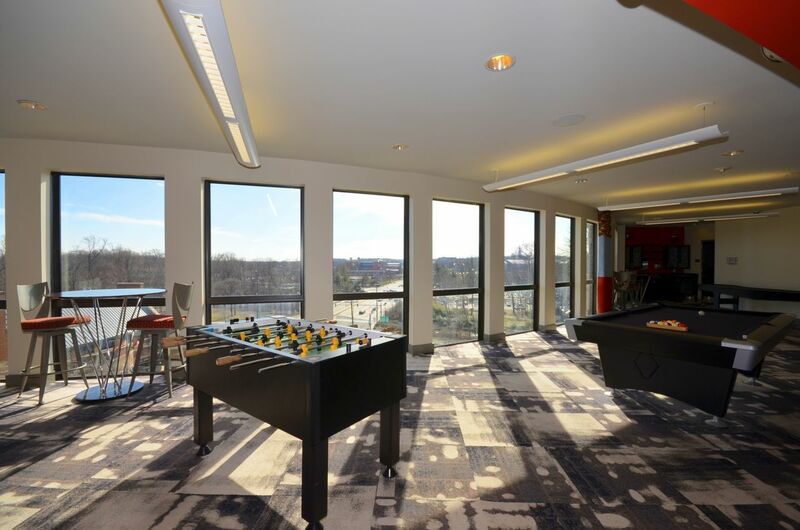 After freshening up, collapse on the living room sofa in front of the cable TV, or wander down to the rec center for a game of billiards. Make dinner in the kitchen, then stack the dishwasher before checking the community events calendar. If there’s nothing on, The Clarice Smith Performing Arts Center is your go-to for everything from ballet showcases to contemporary plays. We couldn't find a room that matches your preferencesView all Private Room in The Varsity. We couldn't find a room that matches your preferencesView all Entire Place in The Varsity.